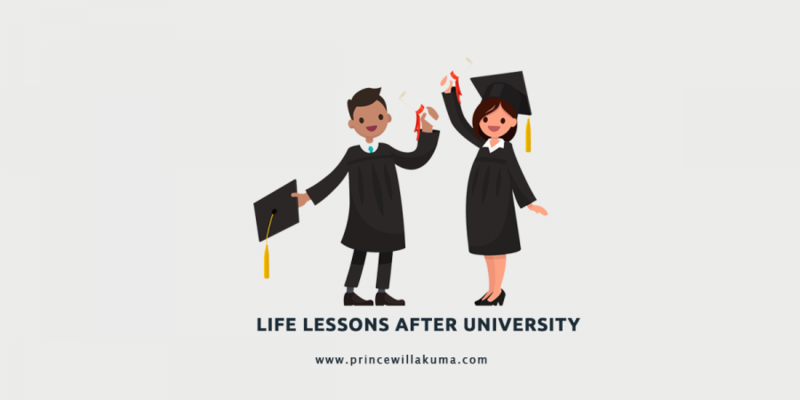 I thought it important to write about my 7 life lessons, 7 years since after graduating from the University of Port Harcourt. 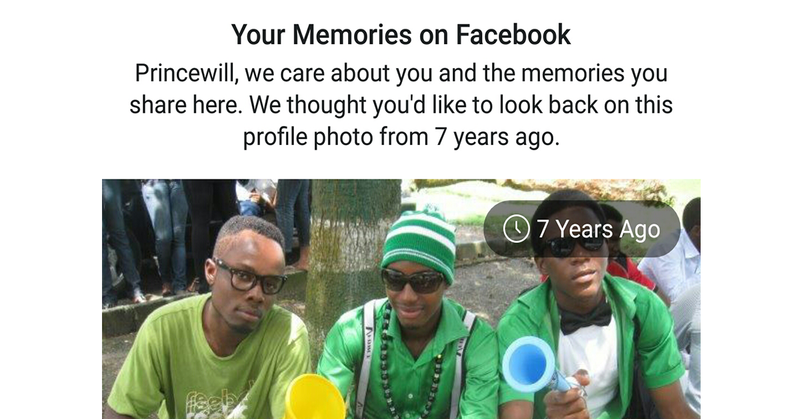 In Facebook’s customary fashion, received the “Your Memories on Facebook” notification and right there was the image (insert below) we took after my final exams. I have come to understand that we are imperfect perfect beings striving for perfection which on a continuous life journey. You will make mistakes along the way, a lot of mistakes after graduation in your career, business, relationship(s) and more but learn from them and grow, don’t kick yourself around too much. Your uncles and aunts who promised you jobs and other really interesting things before you graduated may fulfil it or not, never feel too entitled to sit and wait on what you are given because your journey is your own. Find your path and commit to it. Cherish relationships, build your network. We are created to be dependent beings, your family and friends need you and you do need them. Networking is very important for attaining your goals but don’t be a leech, be open to new opportunities and how to benefit from them while providing value to others. These little things matter in the long run. Be very prudent with your funds, save your money as much as possible. If it doesn’t add value to you please don’t buy it, also spending to please others will have you broke and in debt. Be prudent and live a life for you first, don’t be pressured into what everyone does because it is ok to be unique. Whether you are building a career or business do not doubt yourself. Be confident in your abilities, where your skills come up short only means you have more to learn. You are enough, keep striving. I have learnt this the hard way, planning is important but also never forget to live in the moment. Living in the moment helps you realise the times you are in and that is ahead of you. Times change and so should you. There’s no easier way to put this but adulting is hard, damn! One day you are young with not one care, the next all your actions matter a lot. Equip yourself with as much skill as you can find, it would come in handy to your life’s goal but no matter how overwhelming it gets, don’t give up because you can triumph and you got this. It is amazing that how life journey presents us with different tides and choices at different levels, I have learnt to live and understand when each journey ends, there always a new one starting. There is always that opportunity for the best version of you if you commit to it and the words of my coursemate Mimi, “I still remember it was like yesterday… we didn’t understand what’s ahead”. It has not been easy but I’m making sure everyone passing through the paths I have passed before won’t have much to regrett,that’s the best I can do for them through that journey.A piece like this gets me more prepared to attain my dream level..
Great optimism Cheche, keep pushing. Someone should have told me this 4 years ago.. Great piece by the way. Digital, social media and content marketing tips from a user-centric perspective. Career Advisory for entry and mid-level career professionals.